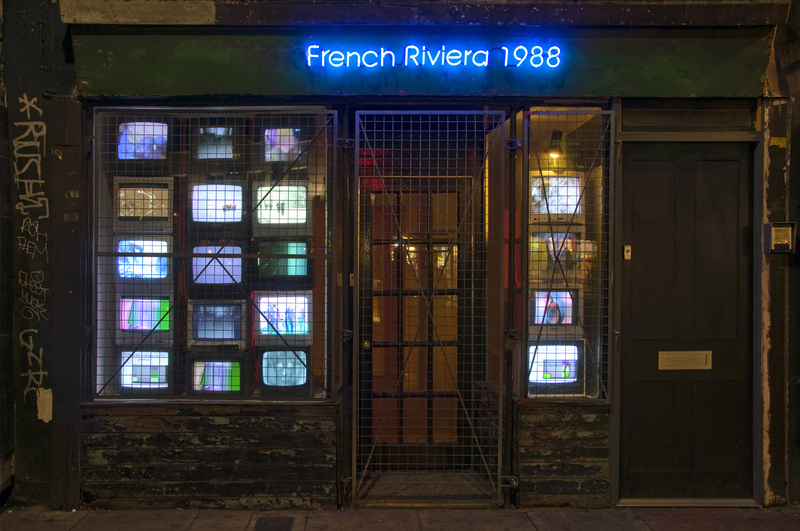 An exhibition funded by Escalator Visual Arts at French Riviera gallery, London. Exhibition Tumblr page here. Emanuel Almborg, Sidsel Christensen, Lucienne Cole, KIMI CONRAD, Joe Crowdy, Laura Garbštienė, Jan Peter Hammer, Matthew Noel-Tod and Ordinary Culture (formerly YH485 Press). In The Presence of Multiple Possibilities combines existing and newly commissioned works, which draw attention and explore different approaches to the possibility of a future event that cannot be predicted with certainty. Through philosophical and practical understandings of the term contingency, the exhibition attempts to manifest the discrepancy between predicted and actual outcomes. The works in the exhibition attempt to make explicit the inherently contingent nature of translation, interpretation, appropriation and instruction, either through creating a structure for continued development, or by deliberately existing as incomplete. KIMI CONRAD’s new film,FROM BIRTH & HEALTH (2012), presents an abstracted narrative that anticipates a larger forthcoming project, whilst existing as an autonomous artwork. Laura Garbštienė’s Love is… (2008) reconfigures the sentiments of love letters through online language translation engines; the text is increasingly distorted with each crude translation, exemplifying the discrepancy between human cognition and systematic logic. Utilising architectural furniture and strategies of exhibition design, Joe Crowdy’s subtle interventionin the gallery will animate the vacant spaces between the other works. In his film Blind Carbon Copy (2008) Matthew Noel-Tod uses actors, dancers and visual motifs such as life drawing and disco culture to interpret a script taken from his own email correspondences. Jan Peter Hammer’s video The Anarchist Banker emulates the style of a talk show, where the host interviews a banker in the aftermath of the 2008 financial crisis. A book projectcommission produced by Ordinary Culture (formerly YH485 Press) will include contributions by artists, critics and writers. The book’s malleable and speculative structure will reflect the thesis of the exhibition, while its discursive content will ensure the continued exploration of this theme. To further disrupt a singular reading of ‘what may or may not happen’, the events programme will approach contingency from different thematic entry points, allowing for the potential for multiple understandings to become manifest throughout the duration of the exhibition. Drawing on the quintessential quirks of British popular culture, Lucienne Cole’s new performance Tumbling Dice is a tongue-in-cheek pub quiz, testing our expectations of general (and not so general) knowledge, followed by a DJ set of questionable logic. Sidsel Christensen’s evening performance will explore the public cult of Britney Spears through elaborate conspiracy theories giving an insight into the darker, more esoteric aspects of the pop princess’ life. Through a gallery reading of the book The Fieldnotes of Jacinta Emilia Cosas, Emanuel Almborg will present part of his project centred on social experiment and communication among communities.